In grade-school I thought aviator sunglasses were the coolest thing ever. I saw manly-men wearing them on old movies and a part of my young-self wanted to replicate their success…or, on a more superficial level, just look cooler than my classmates. 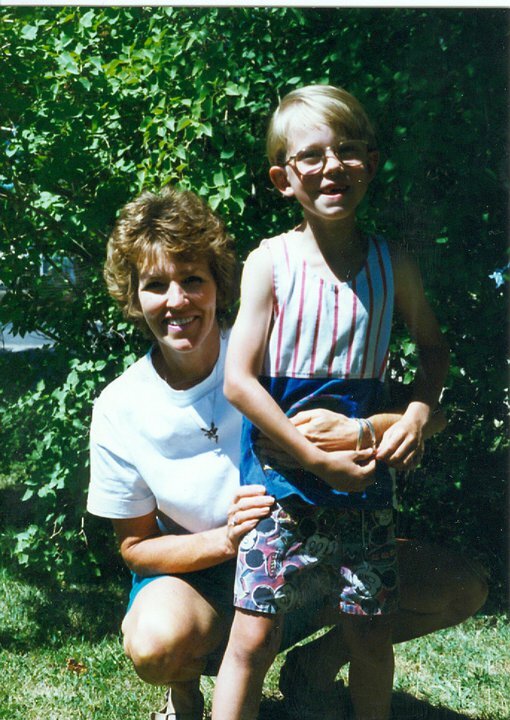 Unfortunately, I was far-sighted…and wore wore real glasses glasses and it would be years before I obtained contact lenses and could actually wear those aviators. A special Honourable Mention goes to the Avs, and while Colorado’s newest throwback sweater may not be the best designed on the list, it gets extra credit for some elements that it’s bringing to the table. 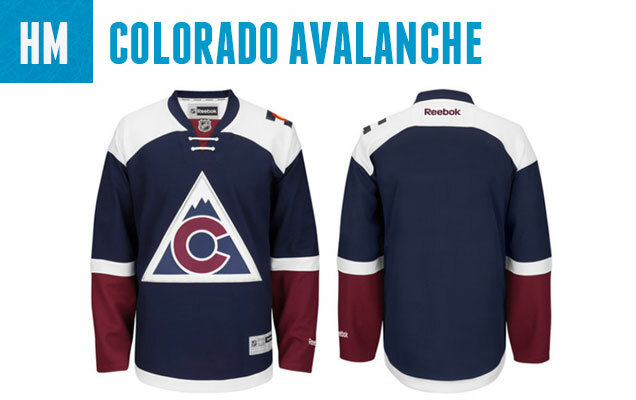 First of all, I am biased…not a big fan of the Avalanche’s logo and color palette, so I was delighted to see them completely replace their main logo with this throwback Rockies logo…no, not the baseball team. 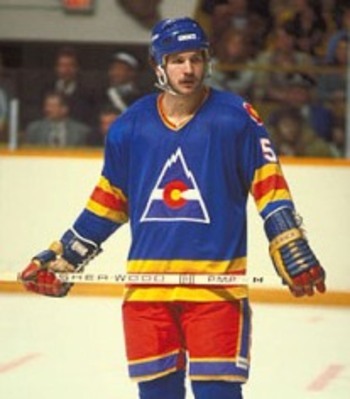 The NHL’s Colorado Rockies (1976-1982) who eventually relocated and became Kevin Smith’s favourite team. 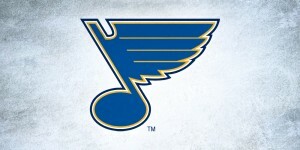 The old team’s primary colors replaced with their current burgundy and a new color, navy blue. It looks fresh, and more importantly may open doors to future branding renovations for the Avalanche. 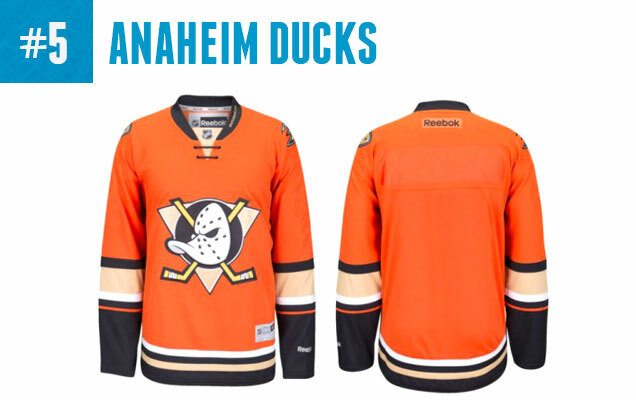 “Paint It Orange!” Anaheim’s fanbase have (mostly) embraced the color choices of the modern Ducks era and we have to accept that the eggplant and teal may never come back in any sort of permanent way. However, this causes a problem, because everyone who was a kid during the ‘Mighty Ducks’ of the 90’s freaking loves the obnoxious duck mask logo. The only resolution going forward is to combine the old with the new, and honestly I’m surprised this didn’t happen sooner. Are there still design issues happening with this throwback fusion? Absolutely. The gold and orange combo still clashes, a problem that the Ducks have never quite resolved (At least the stripes are getting more tolerable, right?). On the plus side, Orange is finally playing a central design role and it’s definitely an exciting direction. Great minds think alike? Edmonton has also decided to bring Orange into the spotlight, with this 1970’s WHA era inspired alternate sweater this season. The hype train was charging full-steam ahead as this sweater was presented to draft-pick Connor McDavid earlier this summer. And as we here at HbD pointed out originally, the numbers were moved up top to the shoulder yoke instead of on the arm-sides, staying true to the throwback jersey it was inspired by. It’s an excellent detail for throwback enthusiasts to savor. 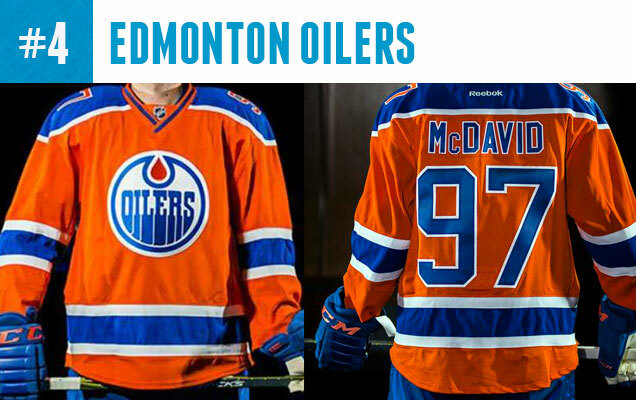 The orange and blue sharing more space than ever on this alternate is loud and defiant, and seems to mirror the enthusiasm that Edmonton fans have for the upcoming season. The Habs have one of the cleanest, simplest and most efficient design aesthetics in the league, which is why even small changes to the uniform feel like a shake-up. This season, Montreal will be re-visiting their history between 1940-1970 when they had plain white collars and lace-up ties. This is a simplification of their blue/white collar of previous years and, in my opinion, a strengthening of their powerhouse brand. Another change, which may leave Americans like myself feeling dyslexic, is switching the NHL shield logo at the base of the collar to the LHN French version. Perhaps this is foreshadowing for the return of another French-speaking team to the league? Please, speculate wildly. 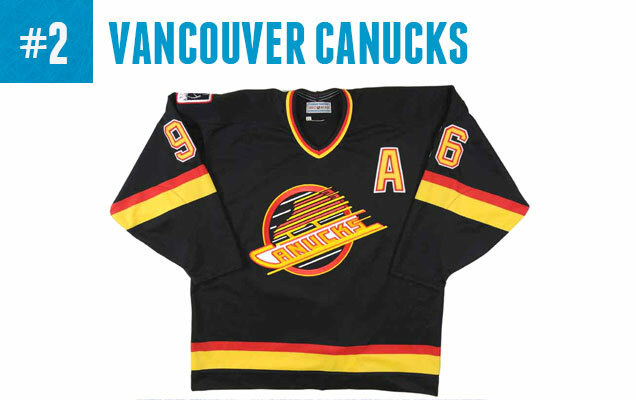 Vancouver has an impressive history of both bold and quirky uniform designs. If you’ve seen the red and gold streaked logo (affectionately nicknamed the‘Spaghetti Skate’) even once, you know that it’s hard to forget. Worn for 8 years between 1989-1997, the black sweater is making it’s big comeback for one glorious game this season to commemorate Roger Arena’s 20th anniversary. No photo has been released of the new throwback version yet, but we expect it to be true to the original design. And who knows? Maybe with enough fan buzz they will bring it back a little more often. Take a moment to soak in this beauty…it’s alright. I can wait. The Sharks “heritage jersey” leaked earlier this summer, is a near exact replica of their 1991 inaugural season jersey made by CCM. 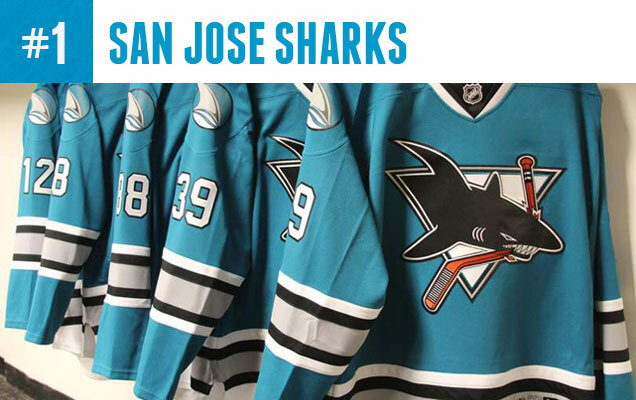 It’s a lighter shade of teal than their current uniforms and includes the original round shark-fin shoulder patches. We’ve yet to see what the back of this sweater looks like, but we can expect the white numbers and black border of the original design. So, What makes a successful throwback? It’s the dedication to capturing the original design aesthetic of the jersey the team is paying homage to, which has earned this throwback the top spot on our list. So, if your team is going to do a heritage throwback…then throw-it-frickin’-back and go all the way. 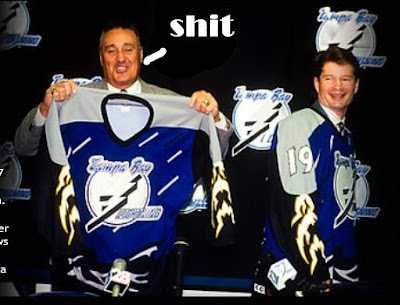 It’s your move, Tampa Bay. Tampa Bay must have been planning to get a Dirtbike team. If you have nothing nice/productive to say, please say nothing at all. 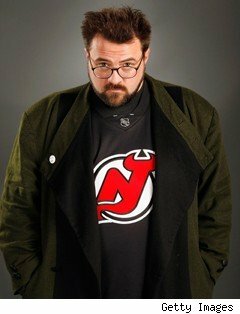 As a graphic designer and avid hockey fan, this blog has been a haven for me. Although I do not always agree with the writers/editors, I would not have them change anything for the world. 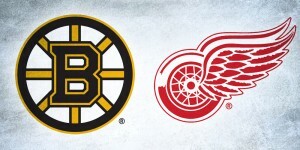 Ok, also as a graphic designer and a hockey faN I could not be more enraged. First, the “throwback” to the Rockies: nope. Rockies are now the Devils. There’s no correlation between the teams. Oh they’re both Colorado? Oh ok…. Stupidest reason to pick that. Throwing back to the ‘Diques would have been better. Some of these are throwbacks, others are 3rd or Alternate jerseys (Colorado and Anaheim). They are different animals. Also, the original Might Ducks wore eggplant and jade. 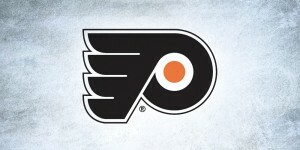 They’ve never worn teal. The Sharks wear teal. Fair enough, but they both have throwback elements to them for sure, so they were deemed worthy of inclusion. I didn’t think any held a candle to the Colorado jersey. Wait, wut? 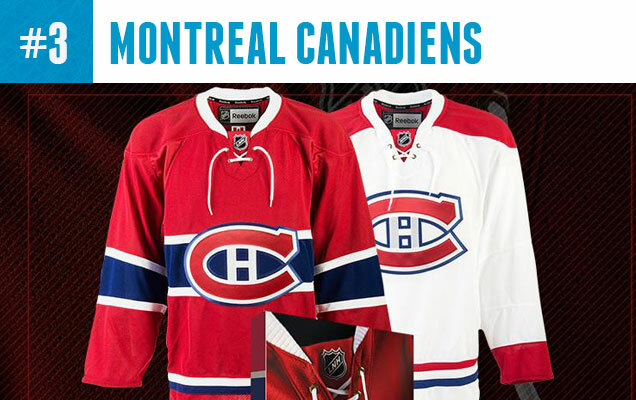 You don’t think, say, the Habs jerseys hold a candle to the new Avs one?